Sermon preached on Genesis 21:1-12 by Rev. 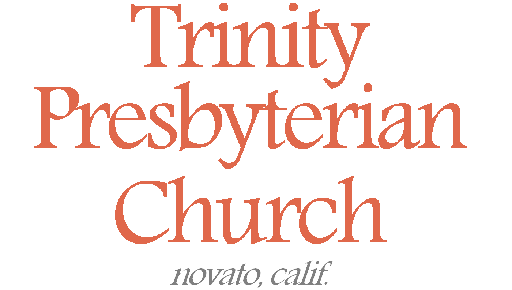 W. Reid Hankins during the Morning Worship Service at Trinity Presbyterian Church (OPC) on 8/11/2013 in Novato, CA. We continue today our miniseries through key women in the Bible. If you recall from last week, we studied the life of Eve. We saw Eve putting her hope in God’s promise that the seed of the woman would one day conquer the devil. Well, that promise from Genesis 3:15 is still working itself out now when we get to the life of Sarah. Through Sarah, this promise of the seed of the woman, would be carried on. It would be yet one of her future descendants who would give birth to this promised seed — our Lord and Savior Jesus Christ. As for Sarah herself, we in some ways only know a little about her. Most of the information we have about her comes through her connection with her husband, Abraham. In terms of her general character, she seems to be a generally faithful follower of the one true God. Peter refers to Sarah in 1 Peter 3:5 as one of the holy women of old. Peter goes on to use her as a positive character example for wives; he points out how she was a commendable example of a wife showing godly submission to her husband. So, in terms of her general character, we get a small affirmation of it there by Peter. But again, the lives of the people in the Bible are in the Bible for much more than either positive or negative characters traits. Sarah, and Abraham, are both in the Bible for a very key purpose. Through them, God called out a unique people, the Israelites, and began to enter into a special relationship with them. He separated, set apart, Abraham and Sarah and their offspring from the rest of the world. And through them, God promised ultimately to send a Messiah that would bring blessing not just to Israelites, but to the whole world. And so we tend to refer to Abraham, then, as Father Abraham. He’s this great patriarch of the Israelite people. And Christians, per the New Testament, have a right to call him our father, and to be considered his sons, if we have become united with him in the same faith. Galatians 3:6 actually goes as far to say that it is only those of this faith that are truly sons of Abraham. Well, that’s what I like about that 1 Peter reference of Sarah. It talked about how Christian women who follow her example can show themselves to be Sarah’s daughters. And so it’s a biblical concept that Christians are both children of Abraham, and children of Sarah. They are our spiritual parents, from when God specifically began a very concentrated plan to bring forth the Messiah and his plan of salvation through their offspring. Get out of your country, From your family And from your father’s house, To a land that I will show you. I will make you a great nation; I will bless you And make your name great; And you shall be a blessing. I will bless those who bless you, And I will curse him who curses you; And in you all the families of the earth shall be blessed. So God promises Abraham that his offspring would become a great nation. That through that offspring, there would come blessings to all the families on the earth. Paul in Galatians says that was ultimately fulfilled by the birth of Jesus. God then reiterates this promise in varying ways over the next several chapters of Genesis. Now yes, here in Genesis 12:1-3, this promise is given particularly to Abraham. Sarah is not mentioned with regard to the promise here. But as you keep reading in Genesis, we learn that the promise was not just with regard to Abraham. It had specific reference to Sarah as well. This becomes so very clear. God would send his promised seed not just through Abraham, but Abraham and Sarah together. And so even though the next few chapters establish Sarah’s barrenness, God makes it clear, that the promised one would be born of her. Genesis 17, God three times tells Abraham that the promised child will come through Sarah specifically. Again, in Genesis 18:10 and 18:14, God said that a son would be born to Abraham through Sarah. To further reiterate this, God not only changed Abraham’s name from Abram to Abraham, but he also changed Sarah’s name from Sarai to Sarah. Sarah means princess and in Genesis 17:16 God explains her name change saying that kings of peoples will come from her. And of course, to further bring home this point, Abraham and Sarah had already tried plan B. When Sarah couldn’t conceive, she gave her maidservant Hagar to Abraham, and they conceived Ishmael. Abraham had hoped that God would fulfill his promises through Ishmael. But God said he would not. It was to be through Sarah. That was God’s choice and plan, and also his promise. Well, Abraham and Sarah kept getting older and older. They got to the point where it was no longer possible, naturally speaking, for them to have a baby. And yet they believed God. And so, Christians talk a lot about how Abraham was the Father of Faith. That’s to emphasize how Abraham believed God’s promise, even in spite of the apparent impossibility of it. Now, if we can refer to Abraham that way, then I’d say we can also talk about Sarah being the Mother of Faith. Because, she too believed God’s promise. Listen to what the inspired author of Hebrews says, Hebrews 11:11-12, “By faith Sarah herself also received strength to conceive seed, and she bore a child when she was past the age, because she judged Him faithful who had promised.” And so Abraham believed God’s seemingly impossible promise, but so did Sarah as well. And so then our first point for today is to observe that God kept that promise. Specifically as we think about Sarah today, God kept that promise to Sarah. Our passage for today really highlights that, even more than with regard to Abraham. Look at the first three verses. Verse 1: The Lord visited Sarah. As he said. The Lord did for Sarah as he had spoken. And what did that entail? Verses 2 and 3, Sarah conceived and bore a son for Abraham. And when did this happen? Verse 2 notes that it was at the set time God had spoken — that’s referring to last chapter where God told them that finally the promised son would be born in one year’s time. So these first three verses really highlight God’s faithfulness. God had spoken. He made it come to pass. And specifically with Sarah, he had spoken about her. And so he visited her so as to make this happen. God was faithful of his promise to bring a son, and that through Sarah. So that’s our first point today, to see God’s promise of a Son through Sarah. To see how God promised this specifically. And to see how Sarah herself believed it. Now then in our second point for today, I want us to hone in on Sarah’s exclamation in verses 6-7. There the idea of laughter comes out. She says, “God has made me laugh.” Now this is a pretty important and thematic element her. When she talks about this laughter here, it’s a positive thing. But this story involved some laughter before, that wasn’t all positive. You might recall that at one point in the past when God had promised that Sarah would yet have a son, she laughed! When she heard again the promise of her having a son, listen to her response in Genesis 18:12. 18:12, “Therefore Sarah laughed within herself, saying, ‘After I have grown old, shall I have pleasure, my lord being old also? '” In the next verse, God asks Abraham why did Sarah laugh about this, and says that nothing is too hard for the LORD. Sarah is then recorded as being afraid and denying that she laughed, but the text affirms that she had in fact laughed. And of course why did she laugh? The text is clear. It was an element of unbelief. In light of the impossibility of their age, it seemed unbelievable. So she laughed, and even God called her to account for it. So then, even these two people of faith, had their trials of faith. They believed God’s promise, yes, surely they did. Scripture is clear that they did. But Scripture also shows that they struggled with some elements of doubt. How could God’s promise actually come to pass, humanly speaking? But of course, that’s the point. With God, all things are possible. And so then look how Sarah brings this all together in those words of verses 6-7. After Isaac is born and they name him, she exclaims, “God has made me laugh!” This is clearly a positive laugh. It’s the laughing of joy. It’s the laughing of something so good happening, but something that seemed so impossible. It makes you laugh because it was so unbelievable, so seemingly impossible, that when it does happen you are just overwhelmed. You might exclaim, “I can’t believe it!” But of course, you do believe it, because you just witnessed whatever impossible thing that just happened to you. That seems to be what Sarah is expressing here. Look at verse 7. She says, “Who would have said to Abraham that Sarah would nurse children? For I have born him a son in his old age” See, this is laughter that is expressing the impossibility. But the impossible has happened. That makes her laugh in joy and amazement! This was a miracle, and so she laughs in joy and awe! Realize that Sarah gives God the credit in this. She’s very clear in verse 6 — “God has made me to laugh.” God is the one who does the impossible. You see this is the whole point in all of this. God’s plan of salvation meant the seed of the woman would bring forth the savior. That promise was extended to happen through Sarah. But it would come about by God’s doing. God waited until it was laughable to think there was any natural way for Sarah and Abraham to have a child. He did that, so that it would become clear that God was at work here in a mighty way. That then they would laugh in joy when God does the impossible. This then again dispels man’s efforts to save himself. What God does to save us, we can’t accomplish by our own efforts. It’s laughable to think we can. But when God does the impossible, it makes us laugh for joy! This is the picture here that Sarah seems to get when she makes this exclamation in verses 6 and 7 about laughter. Isaac, named for this laughter, brings out this laughter in Sarah. And as Sarah says, others will laugh with her. Verse 6 says that not only has God made her laugh, but all who hear about what God had done through Sarah would laugh with her as well. The sense here is that Sarah recognizes how amazing this birth of Isaac is, and that her joy won’t stay just with her. All else who hear it will have this same laughter of joy! They will rejoice together with her in God’s amazing miracle. Of course, as we look forward to the greater significance of this birth, we laugh with her as well. When we see how after she had Isaac, that then he and his wife had Jacob, and then Jacob had the twelve tribes, including Judah. And Judah’s line brought forth David. Ultimately Jesus came of that line. With Jesus again we find the impossible happening. God saves us wayward sinners in the most gracious way. In the irony of the cross. And he rose from the dead breaking us forth again in a similar kind of laughter, knowing that death could not hold him. And that in faith it means we are saved. And so we having seen Sarah’s greater son come forth from the line of Isaac, laugh even today with her. We rejoice today with her as she celebrates God’s visiting her to bring forth Isaac. Even as we rejoice in how God visited Mary via the Holy Spirit and brought forth Jesus. Praise be to God! And yet even though Sarah says this laughter is something for all to join in with her, this laughter is actually not for all. I’ll explain what I mean by that by turning now to our third point for today. Look at verse 8. After Sarah rejoices, laughing in this way, we see the celebration continued with a big feast celebrating the weaning of Isaac. But then look at verse 9. “And Sarah saw the son of Hagar the Egyptian, whom she had borne to Abraham, scoffing.” She then demands he and his mom be cast out. So, see that word for “scoffing” in verse 9? Well, what’s interesting is that translators have struggled translating that. Some have thought maybe it means something like playing, or joking around, or horsing around, or something like that. But what most translations don’t bring out for us, is that it’s actually the same word used all along for, guess, what, laughing! It’s the word for laughter. It’s a different verb pattern than what’s used in verse 6, but it’s the same word for laughter. The ESV even translates it simply as laughing, for example. He may have been laughing at Isaac or at Sarah in a mocking way, or could have been laughing in the having fun sense, but at the end of the day this was some form of laughing. And so, even if we don’t know the exact nature of Ishmael’s laughter in verse 9, the idea of laughter is still very thematic and very telling here. And so, put this all together. In the past, Sarah and Abraham had laughed in doubt at God’s promise for a son through them. Because of this, God says the son is to be named Isaac, “he laughs”. Then when Isaac is born, Sarah is ecstatic and laughs for joy. She says God has caused her to laugh, and everyone else will also laugh for joy with her. But then she sees some kind of laughing in Ishmael, Hagar’s son, and she says, but not them. They aren’t going to laugh with us. They aren’t going to experience this joy with us. Cast them out, she says to Abraham! And notice her reasoning according to verse 10: so that Ishmael will not be an heir along with Isaac. This may seem a bit shocking to us. It certainly disturbed Abraham. Of course, it may have seemed shocking to us in the first place that Sarah even originally gave her maidservant Hagar to Abraham to have a child with. But it may be helpful here to note that when archeologists and historians study ancient practices and even ancient legal code for this area and general time frame, these things weren’t that uncommon. There is some ancient legal code that legislated the idea that a barren wife could have her maidservant raise up legal heirs on her behalf. There was also ancient legal code that gave the wife some rights with regard to being able to send the maidservant away afterwards. There was also ancient legal code that invested a lot of rights of inheritance to the sons born to such maidservants on behalf of the wife. Now to clarify, these archeological finds aren’t necessarily reflective of legal laws that would have bound Abraham and Sarah in any way. But they reflect some of the common practices back then. And so they are at least suggestive that everything that Sarah and Abraham had done here with Hagar and Ishmael was not necessarily that uncommon. And it seems there is a real legitimate concern with Sarah that if Ishmael sticks around in the family, that he will end up sharing the inheritance with Isaac. In other words, Isaac might get substantially less inheritance if Ishmael remains with the family. In other words, God is saying that all his many promises that he made to Abraham about his offspring, would be fulfilled through Isaac, not Ishmael. The promise to make a great nation that would bring blessing to all the families of the earth, that would happen through Isaac, not Ishmael. Regardless of what Sarah’s motives were, she was right about this. God’s long affirmed promise was to come through Isaac. She wanted to protect that for Isaac, and God affirms her perspective on that. This affirms a valuable lesson for us. It’s God’s elect people of promise that share in God’s inheritance. Those outside of God’s promise do not share in this inheritance. Those people truly of the promise receive inheritance from God. Those who are not a part of this promise, are in fact cast off from the family and household of God. Though this is sobering, remember again the promise made to Abraham and Sarah. It would be through Isaac that the promise was fulfilled. That means through Isaac a great nation would be formed. But that means it is also through Isaac that all the families of the earth would ultimately be blessed. How that comes to pass is clear according to the New Testament. Through Isaac the people of Israel come forth. From the people of Israel Jesus is born. Jesus’ life, death, and resurrection, become the basis of salvation from sin for all who believe in him — Jew or Gentile. And that means that though Ishmael doesn’t share here in Genesis 21 in Isaac’s inheritance; ultimately the nation that comes from Ishmael can find blessing in this line of promise. For Jesus Christ is the promised seed of the woman, that brings blessing to all the families on the earth. And so for us, the gospel call becomes clear. If you are God’s chosen one, you must express that by repenting of your sins and putting your faith and trust in this seed of Sarah, Jesus Christ. You must confess Jesus as your Lord and Savior. If you do, you are blessed with this son of Isaac. If you do, you do share in the inheritance with Jesus. Romans 8:17 says that we are heirs of God, and joint heirs with Christ. You then share in what Sarah knew was to be exclusive to Isaac and his seed. And so you are Isaac’s son and the son of Sarah and Abraham if your faith is in Christ. You share in this inheritance of God’s promise and blessing. But if you do not put your trust in Jesus, then you are cast off. You are then the outsider to the inheritance, like Ishmael was. You have no share then in the inheritance with the Son of God. Hopefully, thinking like this, will help us to see the import of Sarah’s desire to cast out Ishmael. That we can understand why God affirmed that. Because it teaches this greater truth, that if you are a child of the promise, you are an insider. You are an heir. But if you are not, then you are cast out. Then you do not partake of this inheritance. And so the beauty is that for all of us here today, God extends the offer for you to be a part of this family. He extends for each of us to be sons and daughters of Sarah. Put your faith in the Lord and you who were previously cast off, will be welcomed in, adopted as children of God. And so realize then the point here. The point in all of this is grace. If you have put your faith in Jesus and experience this blessing, you should realize your salvation is about grace. That is shown here too by Sarah’s wanting to cast off Ishmael. You see Ishmael represents man’s effort to bring about God’s promises. But God says no. Galatians 4 adds some helpful reflection here. It sees the Ishmael/Hagar approach as the path of slavery, and likens that to man’s efforts to keep the law of God to save ourselves. That’s a similar point by Paul there. The idea keeps coming back to this: man can’t do something to save himself. Yes, God uses humans along the way. He did use Abraham and Sarah to have a child. But how God used them emphasized God’s power, God’s plan, God’s provision. It was impossible for them to have a child at their age. But God made it happen. Their efforts through Ishmael would not be the way. The way of salvation had to emphasize that God brings salvation. So then, brothers and sisters, may this passage encourage us as we yet wait for the day of Christ’s return. We serve him in the meantime, but realize that it’s up to God’s power to bring about our final salvation. We look around and are tempted to laugh at the seeming impossibility that God’s kingdom will have the ultimate victory. But it will happen. God has spoken. He will yet visit us again by his Son to bring about the glorious end that has been promised. On that day, we will laugh for joy at the glorious salvation that is then revealed. And so then we stand with Sarah’s faith and the faith of the other saints before us. Yes, a faith, that has its struggles. But a faith that recognizes that it must be God to do the impossible for us. But God will not disappoint. I end then with the beatitude that Jesus spoke in Luke 6:21, “Blessed are you who weep now, for you will laugh.” Amen.